When it comes to taking care of our families, there is no such thing as “too expensive” when considering cleaning products. The problem is that there are so many specialized cleaning products; it can become a real chore to choose which ones are suited for your needs. The downside about this is the exposure to chemicals found in these products. The volatile organic compounds used to enhance the performance of the product can impair neurological functions and irritate the respiratory tract. Once these chemicals are washed down the drains, they could cause a decrease in water quality. Chemicals such as phthalates, which can be found in dyes and fragrances, are suspected of having an adverse effect on the body. There is certainly not enough information supplied on cleaning products these days, so we can’t know for sure just how toxic these can be. Most organic products are made from plant extracts so that they are environmentally friendly. They are also much safer to use in the home. Organic products are often tested thoroughly against all skin irritations and the effect on human respiratory tract. They are often paraben-free, have no artificial fragrances and are certainly not tested on animals. They are also much safer on the environment. 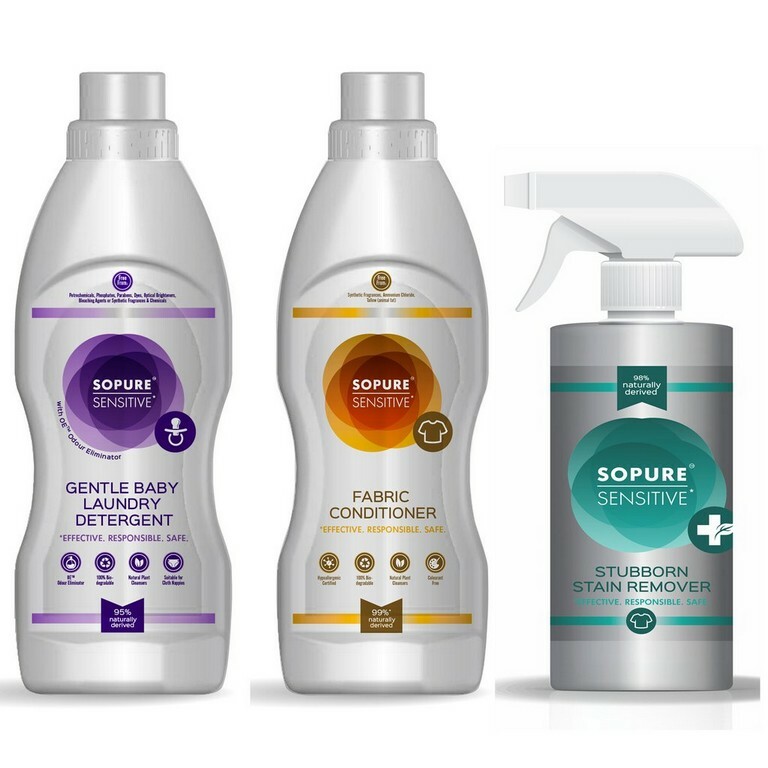 The one brand that can truly be trusted is the SO PURE household cleaning products. These organic, eco-friendly ranges of laundry detergents, hand washers and bubble bath solutions are gentle enough to use every day. Choosing organic products could also help reduce pollution to our waterways and the air and minimise your impact on ozone depletion and global climate change. After testing the SO PURE products, we found them to be gentle on the hands, clean effectively and include a gentle, pleasant and natural smells of essential oils. The essential oils used in these products contain natural antibacterial properties that act as a degreaser, as well as an air freshener. Cleaning chemicals are also clearly listed so you know exactly what you are using. Switching to green cleaning products is necessary to your health and the environment. The good news is that the SO PURE range is affordable, and will not separate or coagulate during storage. A little goes a long way and all their products are gentle, but effective. So, yes, organic, natural, eco-friendly products are definitely the way to go. As concerns around health become more prevalent and people become more aware of the harsh effects cleaning chemicals are having, they are going back to basics and looking for greener ways to clean. If you go “green”, you can guarantee that your family will be healthier and safer in your home. * Visit www.sopure.co.za for more information, or to purchase these products online.